This post is proudly sponsored by the Home Depot. 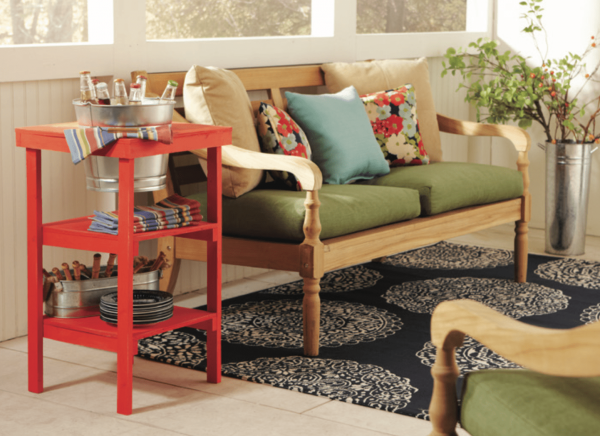 Wouldn’t this beverage station be so cute on your back porch? A few cold drinks sitting in the bucket, just waiting for you. So, call or text the girlfriends and tell them to save the date– June 16, from 6:30-8:00 pm (at your local Home Depot Store). All you have to do is sign up to be registered! And don’t let this project intimidate you ladies! 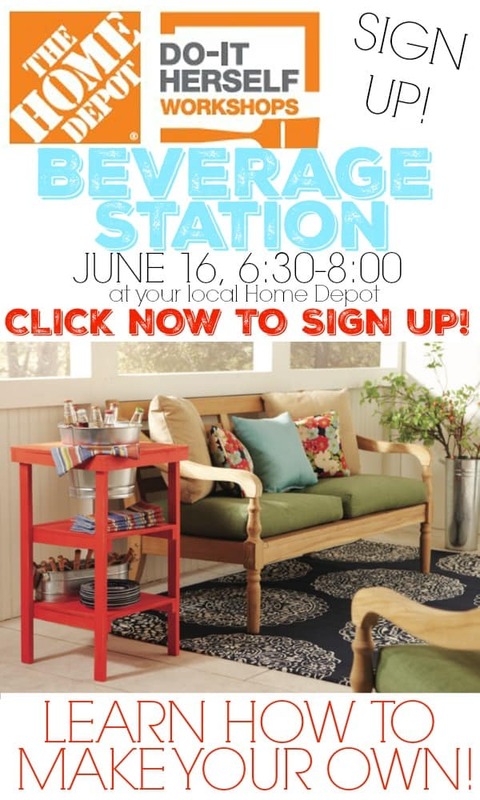 The great thing about Home Depot’s Workshops is that you can learn how to make decor projects (like the beverage station), how to make easy home repairs and how to handle tools through demonstrations with step-by-step instructions. No fear! Simply visit the Home Depot to find all the workshops in your area. *disclosure: Thank you so much to the Home Depot for allowing me the opportunity to participate in this Virtual Party. I was compensated for materials and my time. Oh my goodness!! I love this table! So clever! 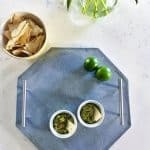 Such a smart idea- especially if you have things on your dining table like us! That’s pretty awesome! I knew about the kids workshops, but I had no idea they had workshops for women! Since I’m all about DIY, I’ll have to check it out! 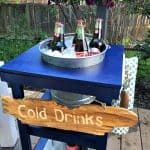 I’d love to make one of these beverage stations – so cool! Thanks for sharing! 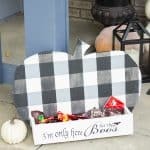 What a cute project to make for your porch or patio! I’ve seen the signs for these workshops but never gone. I had no idea they were making thing s like this! I’ll have to sign up soon! Thanks so much for sharing with us at Share The Wealth Sunday! What a cute idea. This would be so fun to go make. 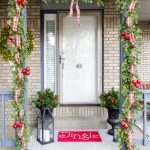 Thanks for sharing this idea with us at Family Joy Blog Link Up Party. So glad you joined us! 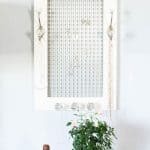 I had no idea that they offered DIH workshops at home depot. I was only aware of the kids ones. 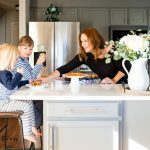 Thank you for sharing this with us on #shinebloghop. 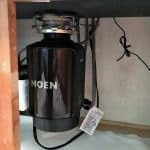 This looks like such a useful piece and the fact that we can make it even makes it that much better. That’s great! The table is darling, too. Thanks for bringing these to Throwback Thursday! I hope they do this again! I’d love to make one. Thanks for sharing at the #InspirationSpotlight party. Shared See you again soon.